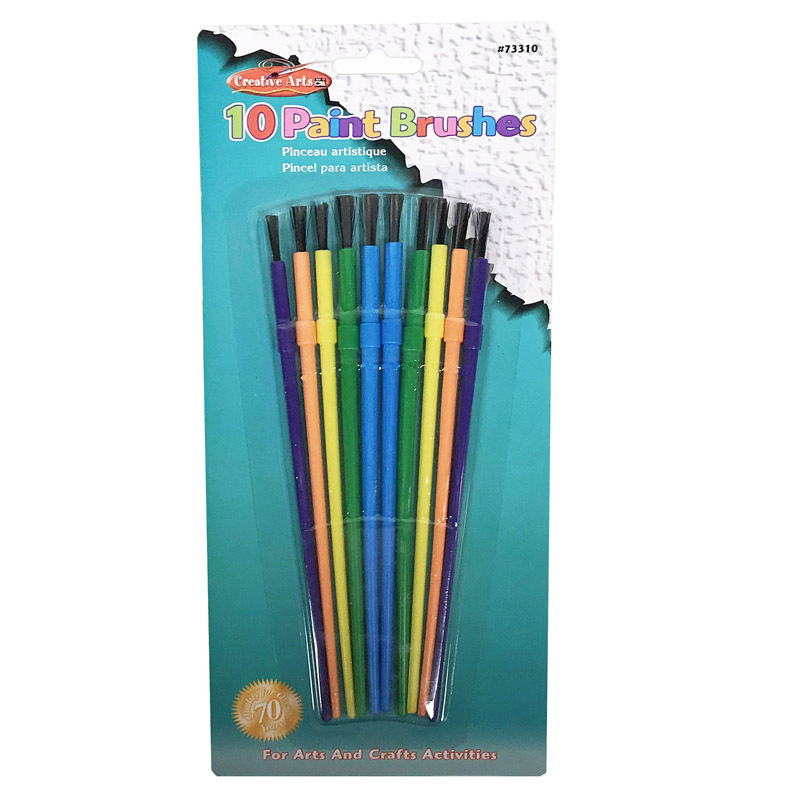 Each 24 piece Preschool Brush Set includes 12 flat (#1 to #12) and 12 round brushes (#1 to #12) with seamless nickel plated ferrules, clear finish hardwood handles and natural hog bristles. These brushes are perfect for tempera paint. 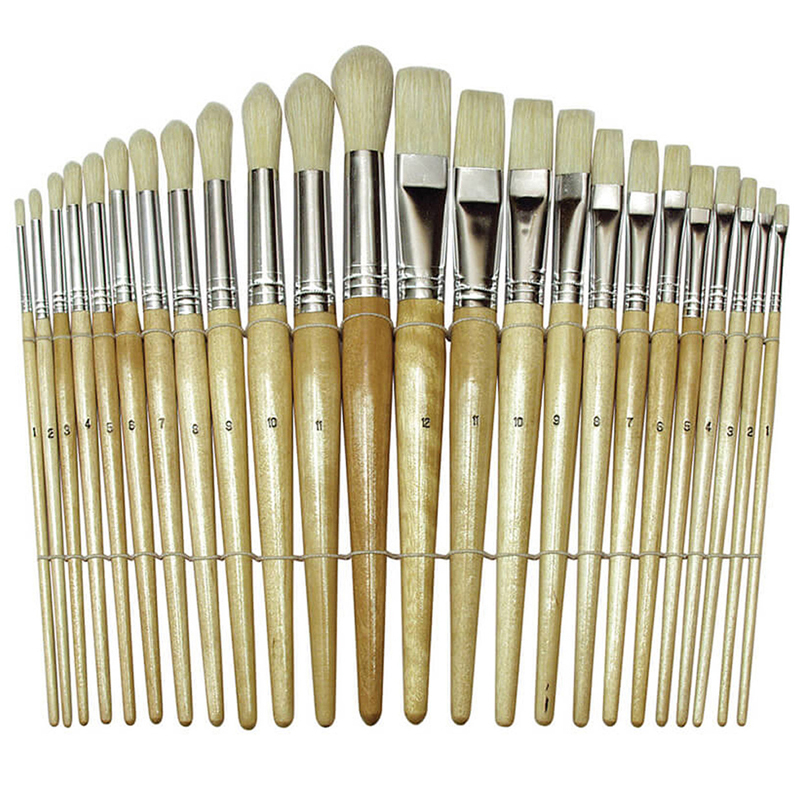 Sold as 2 sets for a total of 48 brushes. 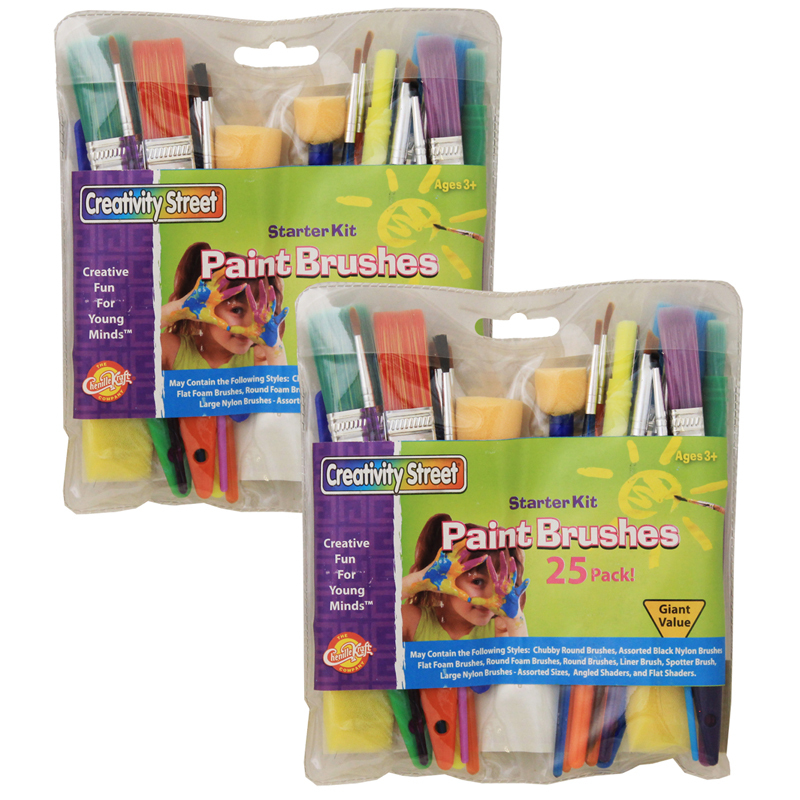 The (2 St) Wood Brushes 24 Per Pk can be found in our Paint Brushes product category within the Arts & Crafts.